the days are warmer, and the soils are darker. In 2013 we were introduced to the Rustenhof vineyards (1978 plantings) by a friend. At that time, in my dogma/stupidity, I was not keen to work with anything lower than 300m above sea-level. 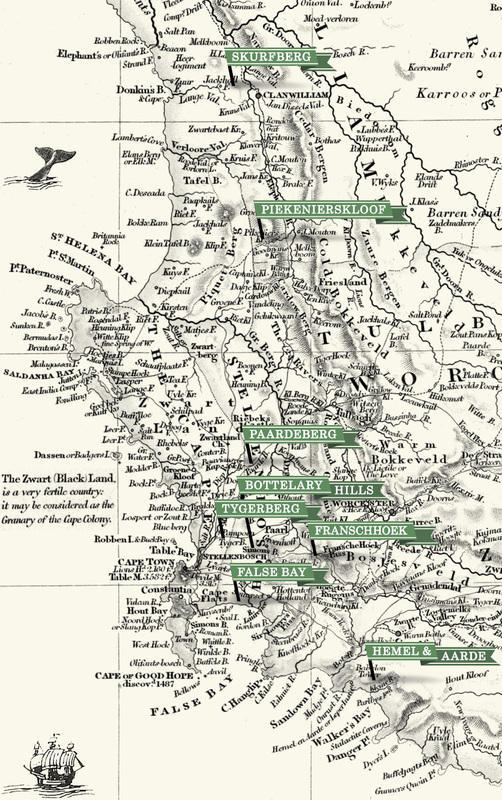 These old parcels are much lower down, very close to the False Bay coast of Stellenbosch. We gave them a try. By 2015 they’d become irreplaceable. We became vocal advocates of False Bay Chenin. More recently, we’ve started to work with Karibib farm in the Polkadraai hills (planted 1981 and 1988). Their Chenin is younger than Rustenhof, and perhaps the wine slightly more understated, but that False Bay character is still clear to me: open, yellow pink fruit, and that classic sweet/sour/salty tension on the palate.